Two hundred twenty-five years ago, George Washington issued a proclamation from New York, asking Americans to thank God on November 26, 1789, for “affording them an opportunity peaceably to establish a form of government for their safety and happiness.” Washington himself was most thankful on March 4, 1797, when he ended his second term as President of that government and returned to his beloved Mount Vernon estate. 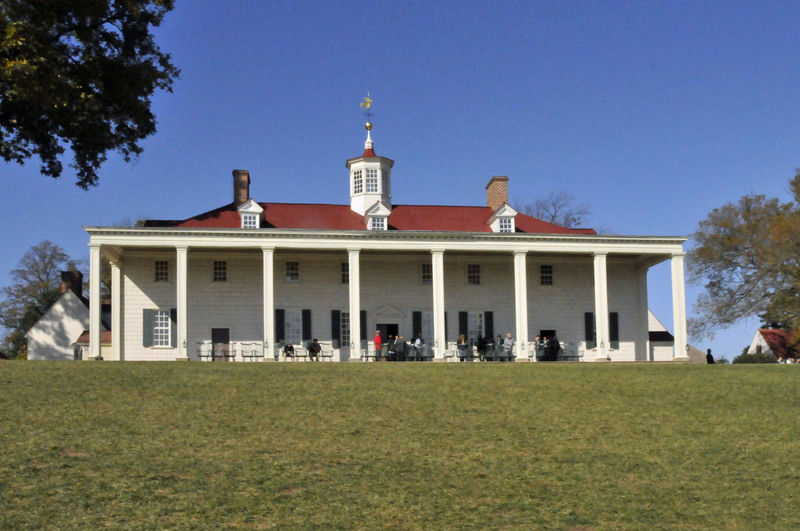 Washington inherited a half-interest in Mount Vernon, near Alexandria, Virginia, from his half-brother Lawrence, who had named the property after a British admiral. 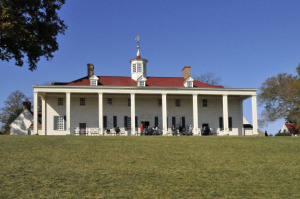 In 1758, before obtaining complete ownership, Washington began enlarging the small farmhouse his father had built overlooking the Potomac River. Upon reaching its current size in 1774, the house encompassed 11,028 square feet and 21 rooms. The exterior was covered by bevel-edged blocks of yellow pine, made to resemble stone by pouring a layer of sand onto wet paint. At Washington’s instruction, the weather vane atop a hexagonal cupola featured a dove with an olive branch of peace in its mouth. Washington also designed the two-story piazza facing the river that was widely copied. Mount Vernon’s mansion, outbuildings and 500 remaining acres are open to the public 365 days a year, reflecting Washington’s hospitality while living there. Of the more than 80 million visitors since then, only those since 2007 have been able to purchase whiskey from a working replica of Washington’s distillery.